A variety of tooth and jaw issues can be resolved through orthodontics. Dr. Lankupalli and Dr. Patel may point out that your child's baby teeth appear crowded, or the relationship between the upper lower teeth isn't ideal. While it’s not generally a time for treatment, it may help you prepare for the possibility of future corrective care. As permanent teeth start to appear around the age of 6, Dr. Lankupalli and Dr. Patel will monitor the process further and help you decide if early orthodontic treatment makes sense. A narrow jaw or a large overbite may create a similar dilemma. Gently guiding your child’s jaw growth while they are developing can make a tremendous difference down the road. Once the growth stops during the teen years, the only corrective measure often involves surgery, which is always a scenario to avoid when possible. Many youngsters benefit from orthodontics after the baby teeth have fallen out and the permanent teeth have moved into place. This classic case may start in the early teen years, leaving a nicely aligned and highly functional set of teeth as your loved one enters adulthood. The length of time spent wired-up can vary, but average treatment time often falls around two years. 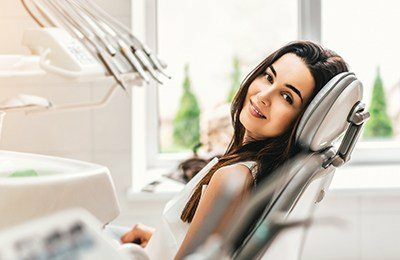 Orthodontic treatment can solve almost every possible bite issue, but success relies on good patient compliance. Wearing elastic bands consistently, keeping follow-up appointments for adjustments, and practicing outstanding home care can lead to a positive outcome. This commitment involves frequent preventive visits with your hygienist as well, a strategy that helps avoid permanent staining from weakened enamel and cavities around brackets. ProSmiles Dental specializes in helping our orthodontic patients enjoy a successful outcome: a gorgeous, healthy smile.